With as much as 15% of the world’s population and 7.5% of South Africa’s population having disabilities, why wouldn’t you make your events fully accessible? A lot has changed since then to make environments both physically and socially more inviting for those who have disabilities – especially after 1994, when the new South African Constitution was created with a view to making society more inclusive regardless of anyone’s race, gender or abilities. Hearing disabilities: Hearing disabilities cross a spectrum from those who are hard of hearing to complete hearing loss (deafness). It’s important to understand that not all deaf people use sign language. Hard of hearing people may be able to use assistive devices such as hearing aids, and some may be skilled lip readers. Visual disabilities: As with hearing disabilities, visual disabilities can range from partial loss of vision to complete loss of vision (blindness). Again, not all blind people can read braille, so don’t assume this. Some blind people may be accompanied by a guide dog or use a cane. Those with partial vision may still be able to read written communication if it is well formatted and presented. 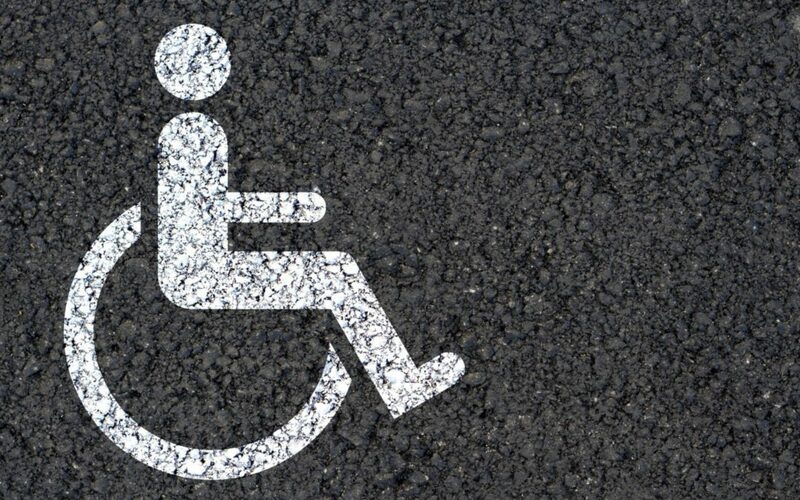 Motor disabilities: This includes those people who use wheelchairs or who have impaired mobility. To make it easier for them, ensure your event layout has wide aisles, smooth flooring, and ramps and lifts as alternatives to stairways. Cognitive disabilities: Some disabilities affect people’s mental and social faculties. This can be more extreme, such as brain injury, dementia or autism, to milder conditions such as Attention Deficit Disorder or dyslexia. Also, don’t forget that people can have a permanent or a temporary disability. For example, if someone has broken their leg and is on crutches, they have a temporary disability that needs to be accommodated. Because of the variety of disabilities, it is best to find out from your attendees early on in the registration process what disabilities and special requests they might have, so that you can assist them effectively. Architect Ronald Mace came up with the term “universal access” in the 60s, which essentially means that instead of designing something for able bodied people only, you design it for them and people with disabilities. This makes products, services or environments more inclusive – and often much easier to use, for everyone. For example, ramps don’t only help people in wheelchairs but they also make life easier for moms with prams and elderly people with walking sticks. Universal design should be the ideal standard that venues and events aim for, as it allows more people to attend your events and to have a better experience. • Wheelchair access and space in auditoriums and halls. This Act has made it far easier for people with disabilities to access public spaces. However, it’s important to keep in mind that some public buildings are exempt from these requirements. For example, hotels with fewer than 25 rooms do not need to have rooms that offer wheelchair access. Additionally, although the legislation exists, not all buildings comply with it. Always conduct a thorough site visit to make sure a venue is easy-to-use for people with disabilities before you sign a contract. It will save you a great deal of stress to have this right from the start. Plan early: Make sure you include accessibility in the early stages of your planning and on your event checklist. It will be far harder to incorporate it effectively into your event if you treat it as an add-on. Teach your staff to be respectful and not to assume it is okay to touch a person with disabilities in order to assist them – always ask first. Deidré adds, “Often, the person in the wheelchair is ignored completely, and staff only speak to the carer or assistant pushing the chair.” Make sure your staff don’t make this mistake. 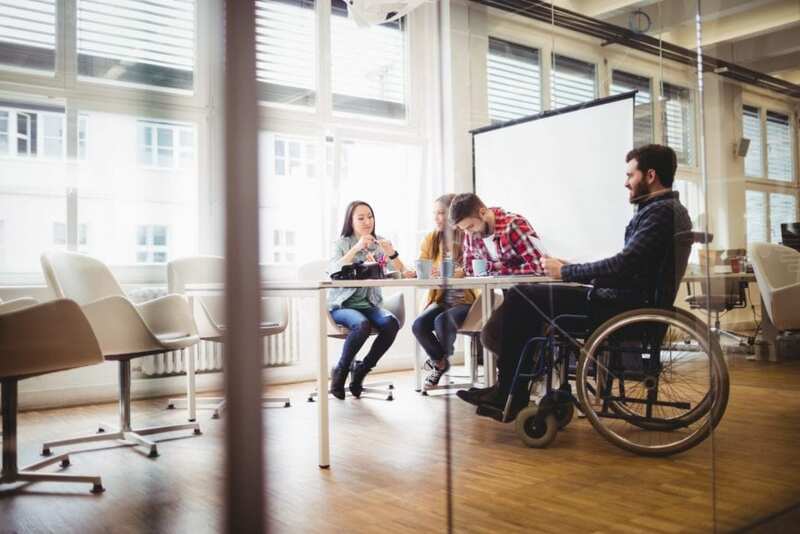 Get feedback: Ask your event attendees for feedback – and specifically check what those who have disabilities (whether temporary or permanent) think could have been done better, so you can keep improving your event.